This recipe is perfect for the lazy cook, since all preparation can be done the previous day. 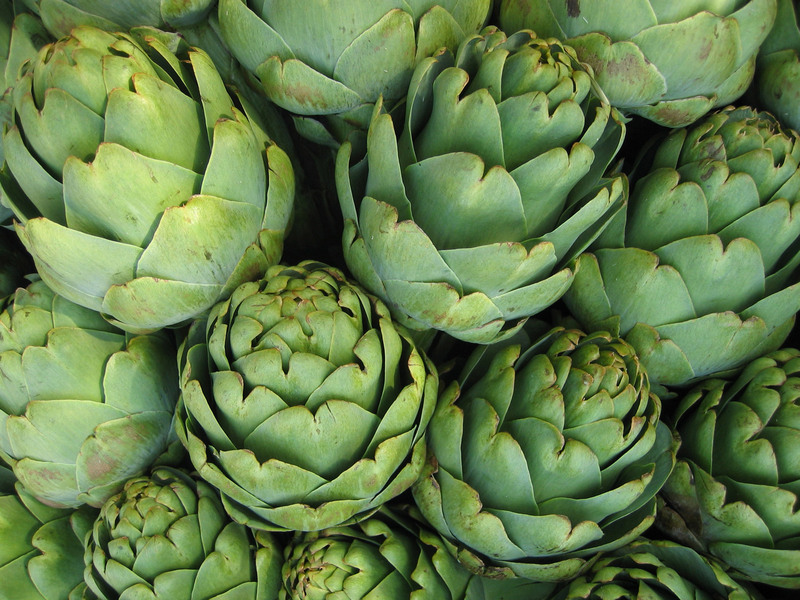 The slightly smoky taste compliments the nuttiness of the artichoke and no dip is necessary, although some might want to use additional marinade for dipping. Slice artichoke tops off, crosswise. Trim Stems. Boil or steam artichokes until bottoms pierce easily, or a petal pulls off easily. Cut each artichoke in half lengthwise and scrape out fuzzy center and any purple tipped petals. Mix remaining ingredients in a large plastic bag. Place artichokes in the bag and coat all sides of the artichokes. For best flavor marinate in the mixture overnight in the refrigerator but should marinate at least one hour. Place cut side down on a grill over a solid bed of medium coals or gas grill on medium. Grill until lightly browned on the cut side, 5 to 7 minutes. 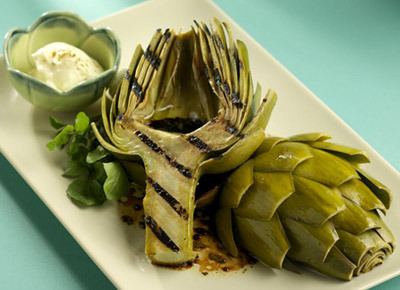 Turn artichokes over and drizzle some of the remaining marinade over the artichokes. Grill until petal tips are lightly charred, 3 to 4 minutes more. Yield: 8 servings, ½ artichoke each.